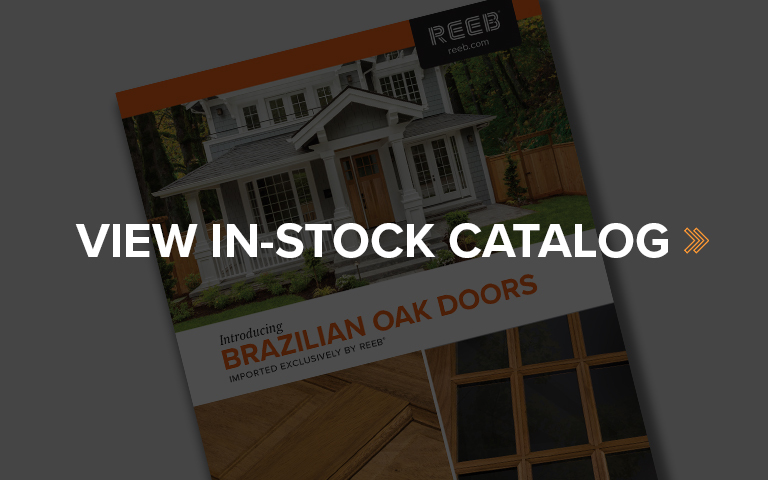 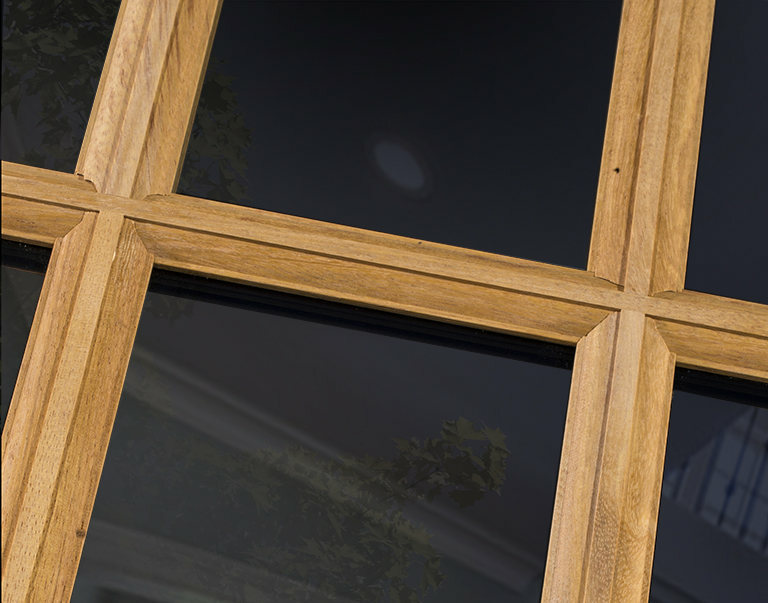 Introducing Brazilian oak doors imported exclusively by Reeb®. 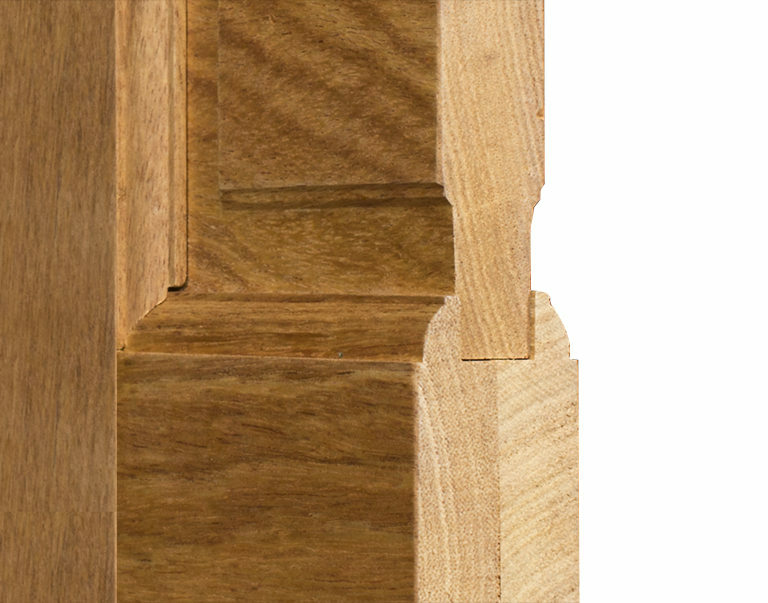 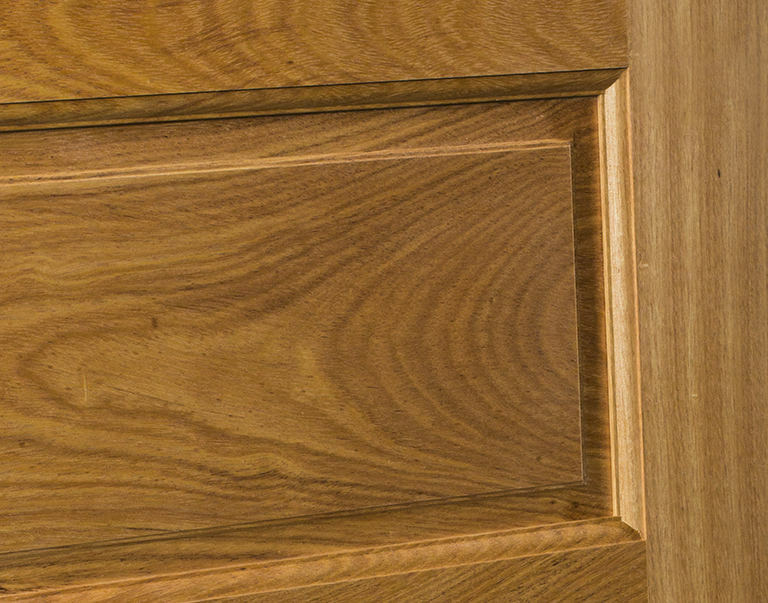 Every Brazilian oak door features one-of-a-kind grain patterns that give each door a unique personality. 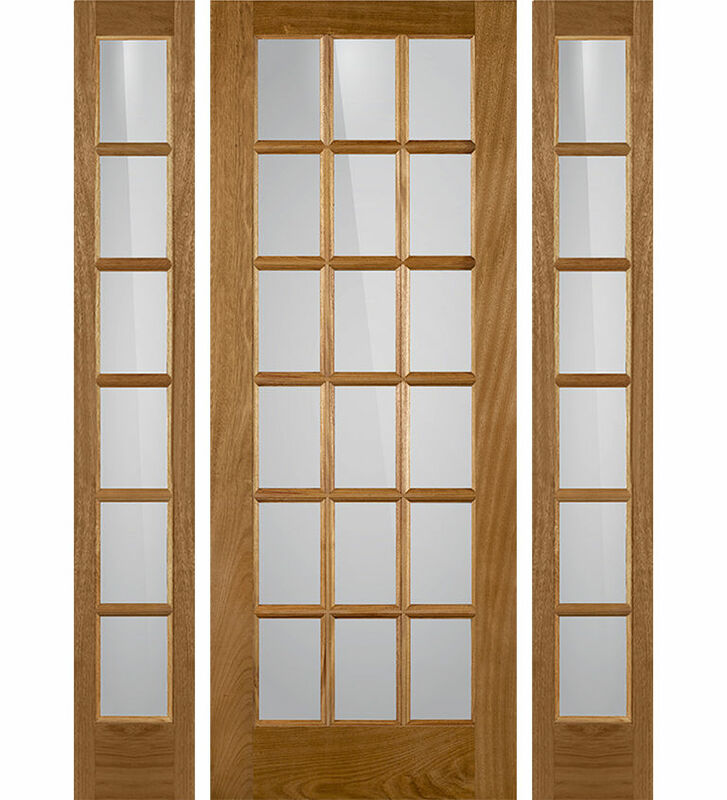 Using a traditional stile and rail construction, these doors are engineered with two-piece laminated solid wood stiles and rails glued along the entire cope for durability and protection from the elements. 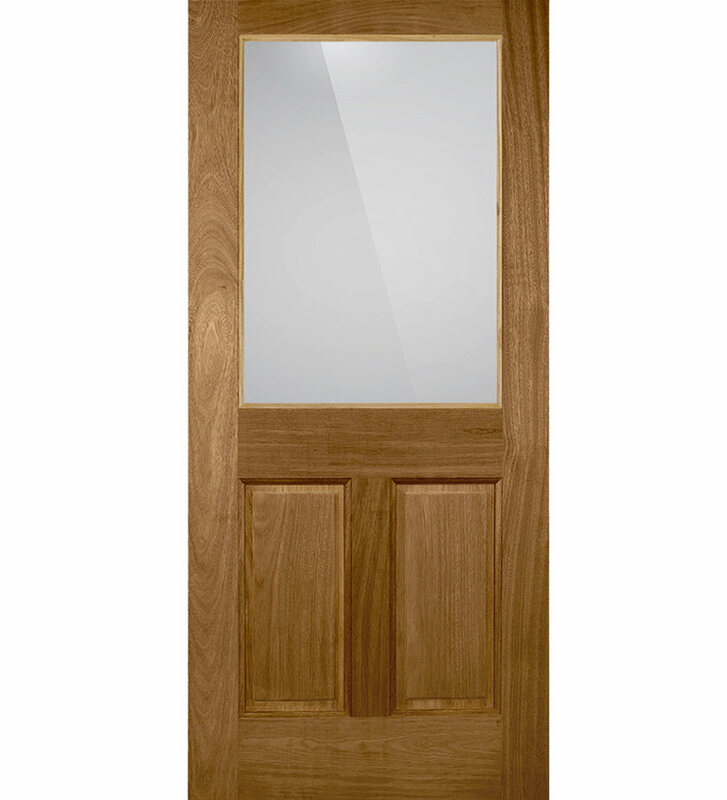 This creates a tough door that can be used in any exposure with no overhang required. 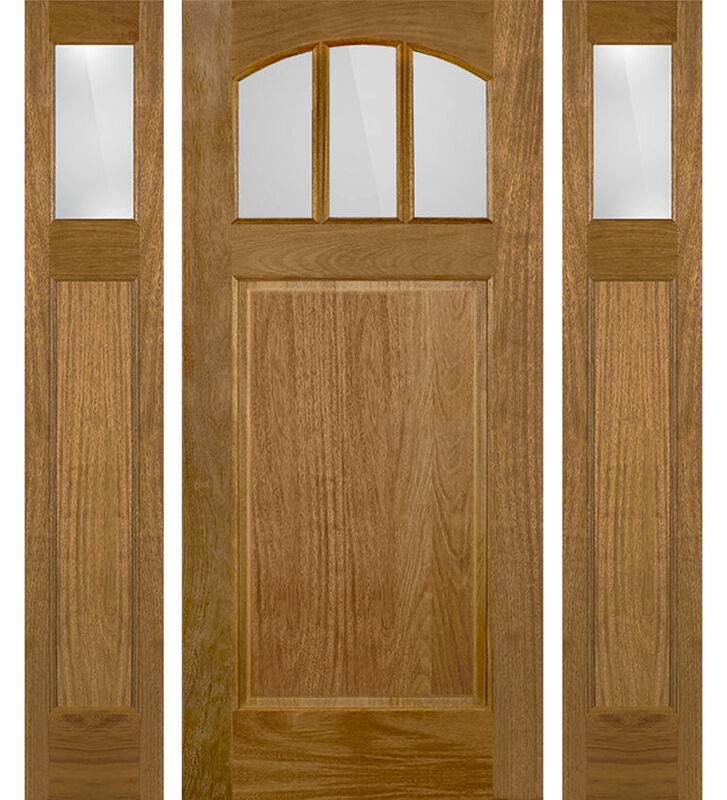 The exotic graining gives depth and additional detail ensuring no two doors look alike. 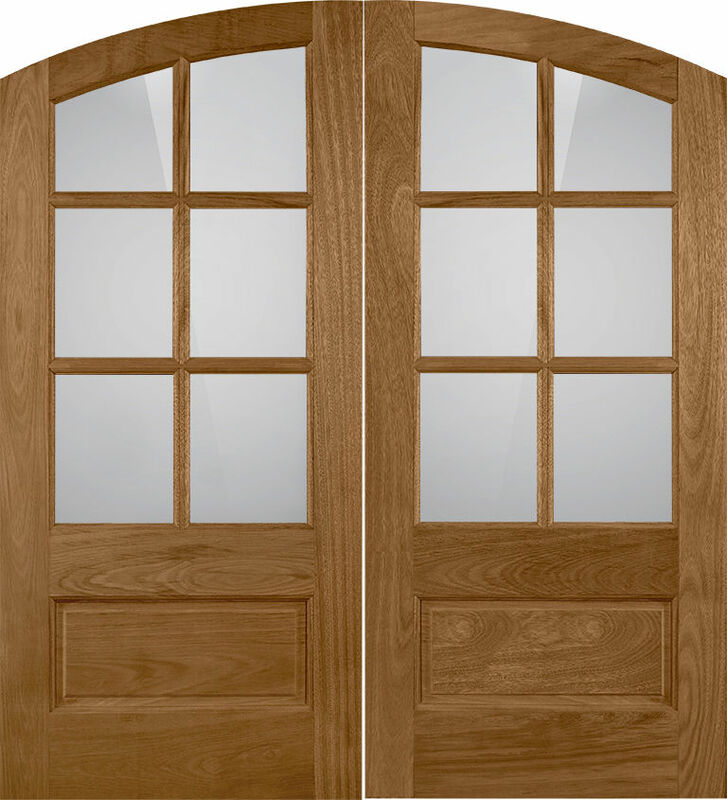 They are easy to stain or can be clear coated to create a door as unique as you. 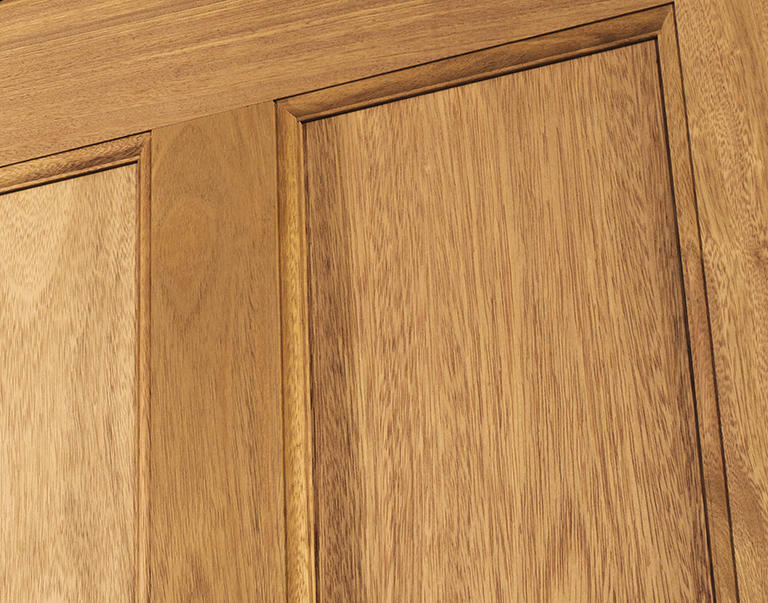 Brazilian oak doors from Reeb add a beautiful statement to any home while featuring durable construction at an incredible value. 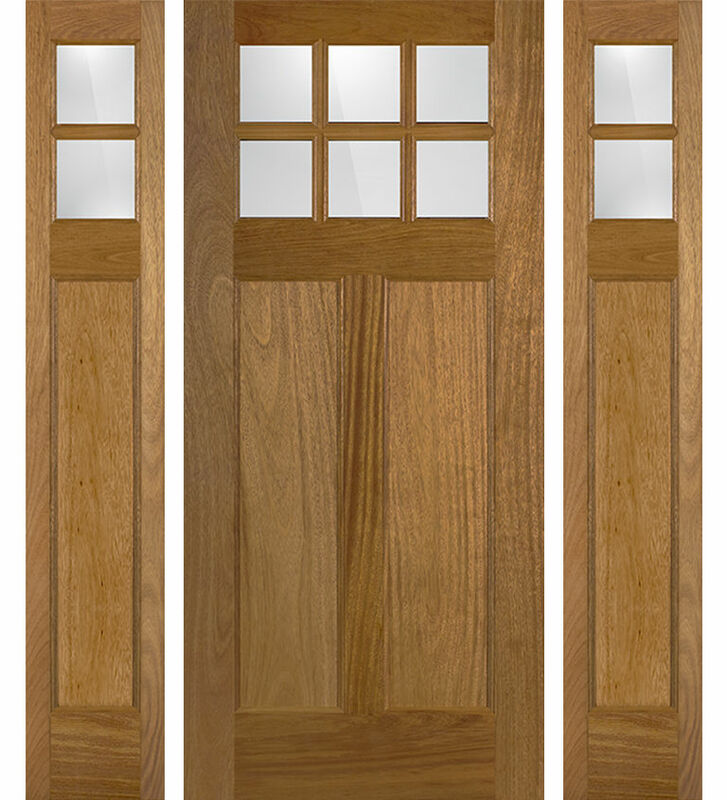 Available in 8 door layouts and 6 sidelite designs! 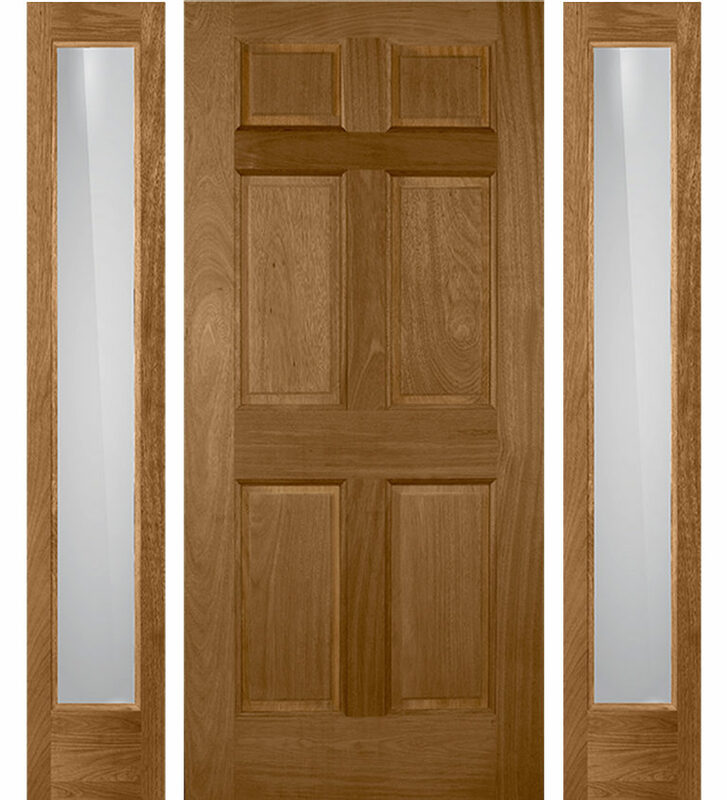 Brazilian oak doors come with a 3-year warranty with no overhang requirement. 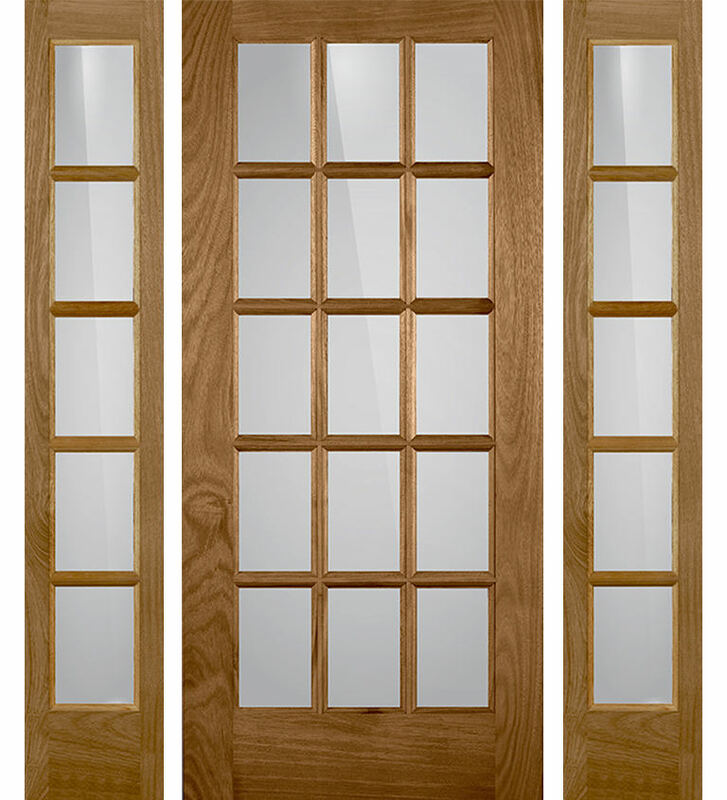 All doors are accompanied by solid wood frames and brickmould in Brazilian oak. 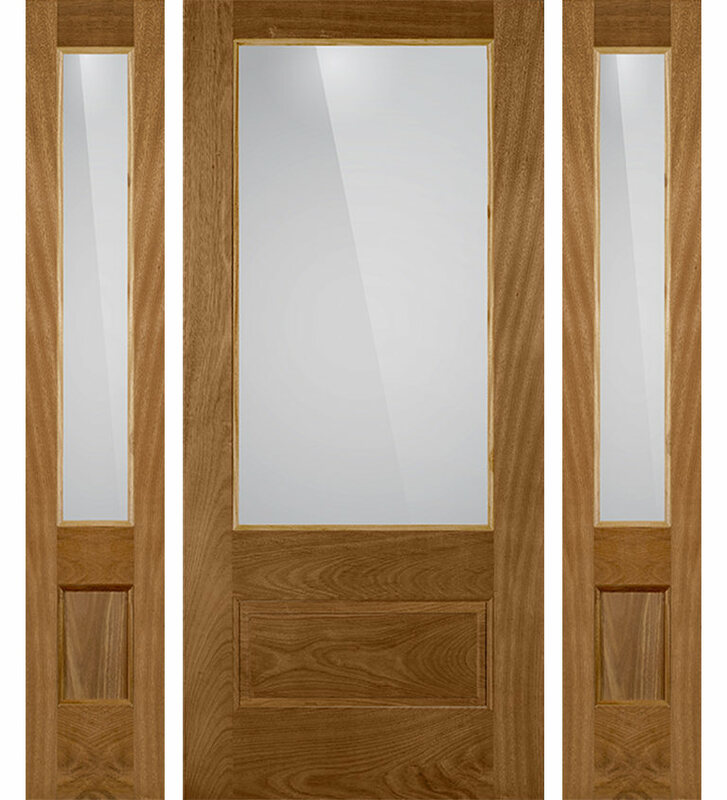 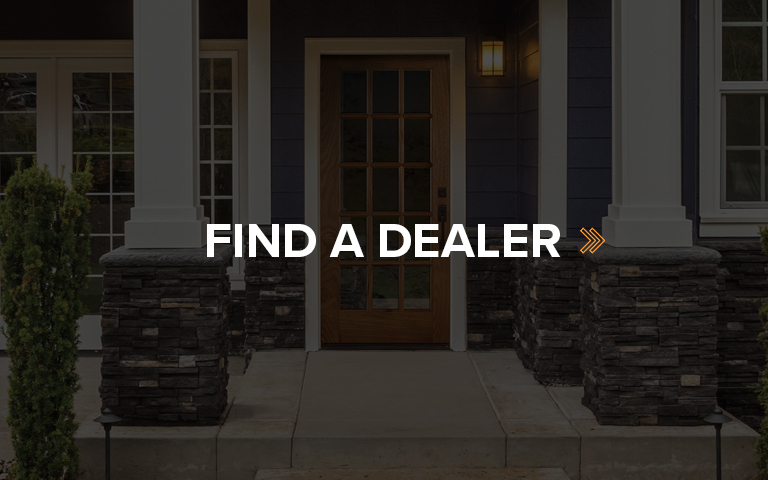 Due to the weight of the doors, they will be hung with heavy-duty ball bearing Emtek hinges in oil-rubbed bronze as standard.